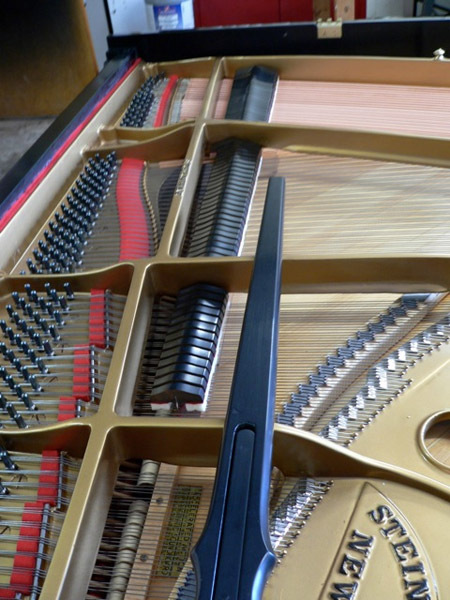 Pianos really are a lot like cars. 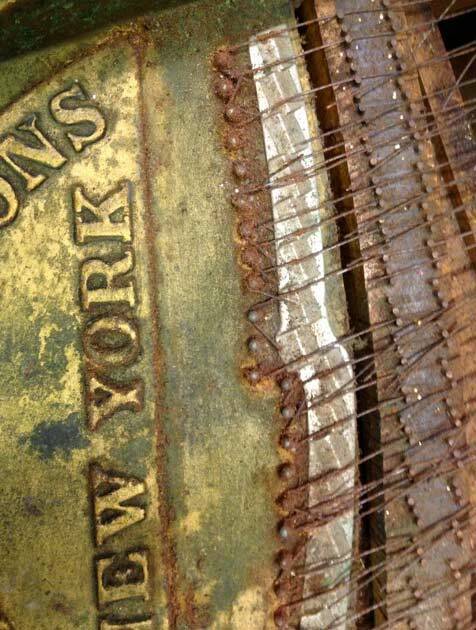 They may age much more slowly but they do deteriorate. 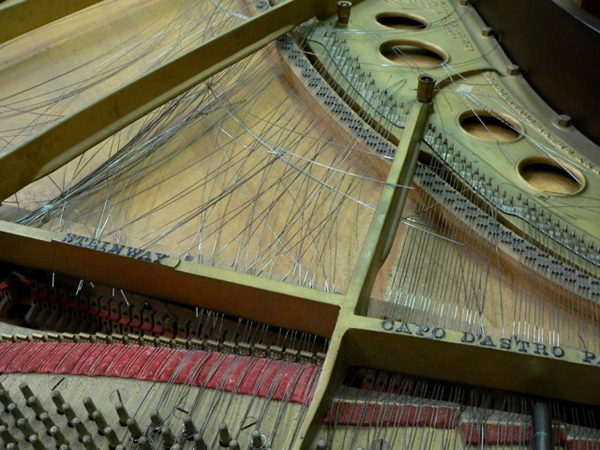 At some point a car or piano is replaced or very extensive work has to be done. 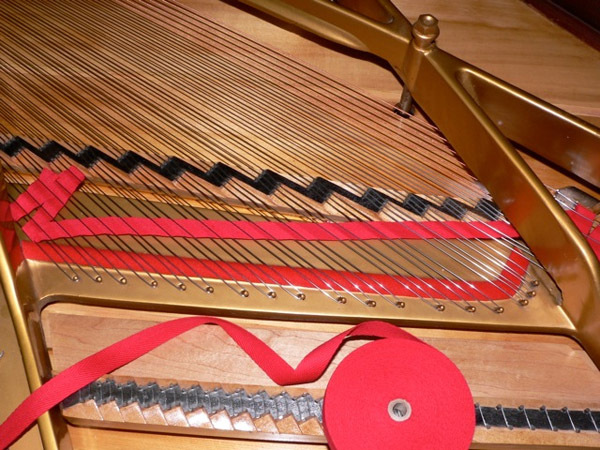 The strings, wire, becomes brittle and loses tone quality or starts breaking. 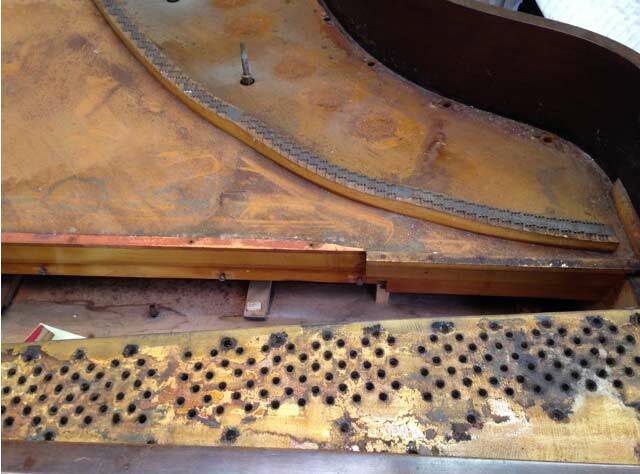 The soundboard and bridges deteriorate. 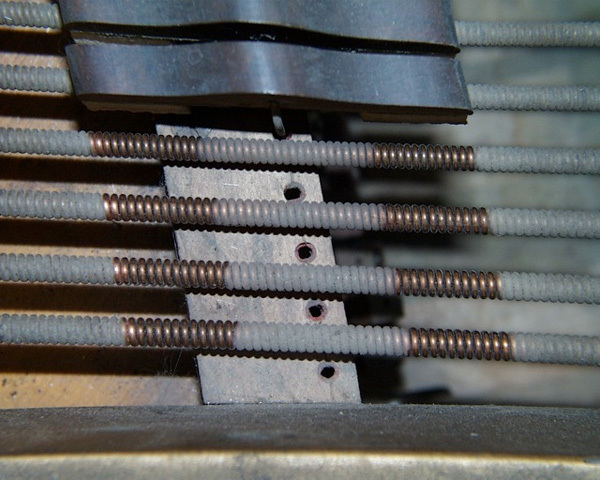 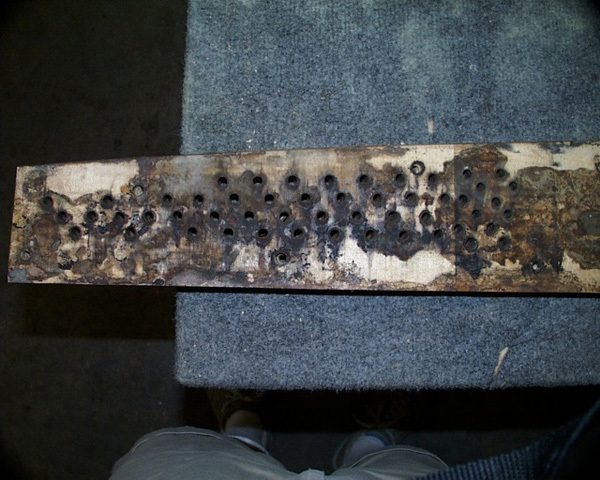 Tuning pins become loose and the pin block wears out. 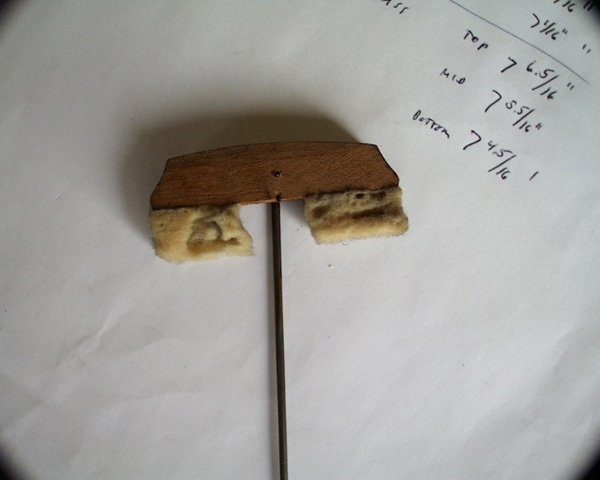 The damper felt becomes hard or shredded and the pedals system has issues. 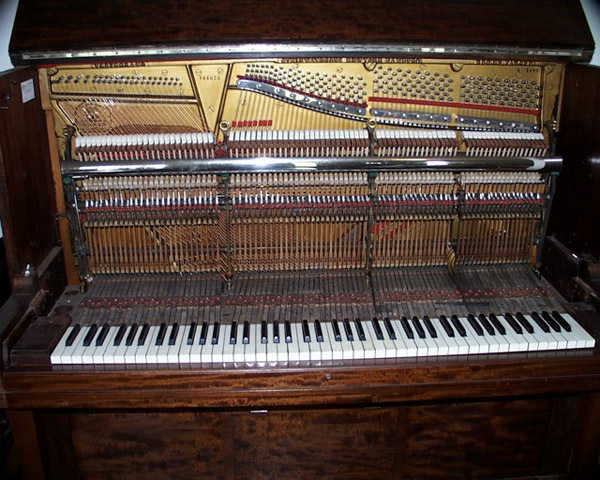 The action and key tops are worn out. 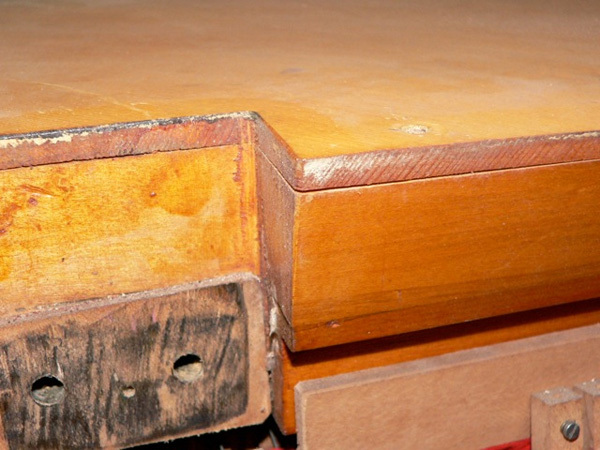 On the outside the finish has oxidized and faded and the veneer has become loose and damaged. 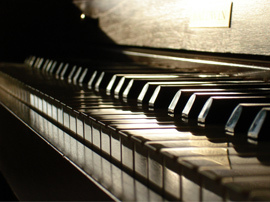 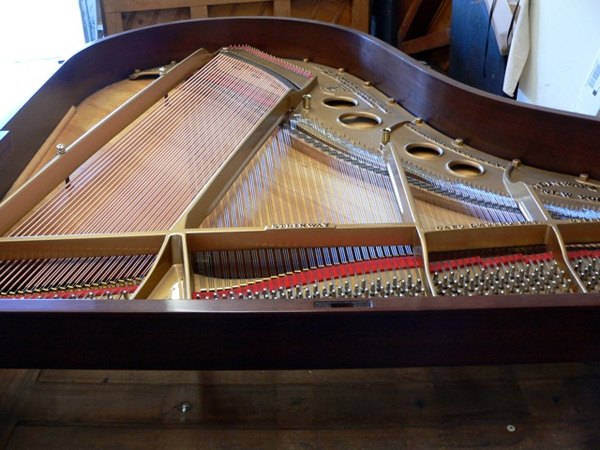 When considering having your piano rebuilt you have to weigh the cost versus buying a new piano. 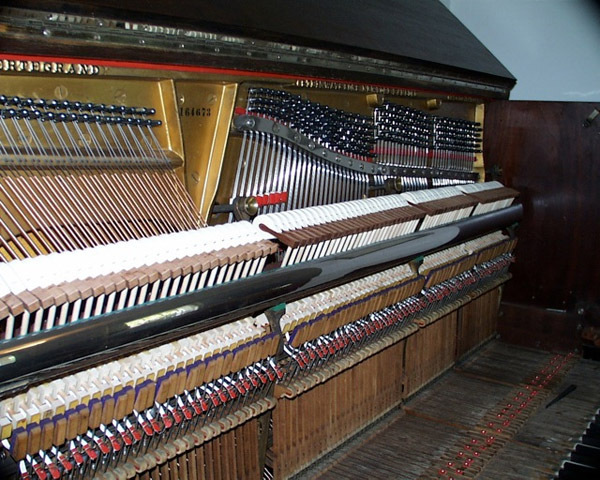 It is much cheaper to buy a new vertical piano than to rebuild it. 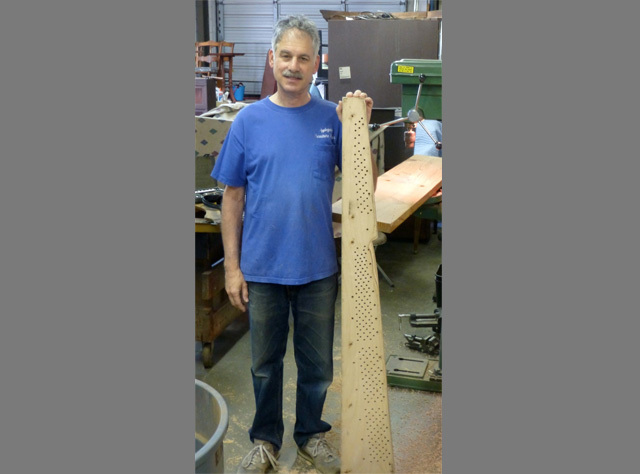 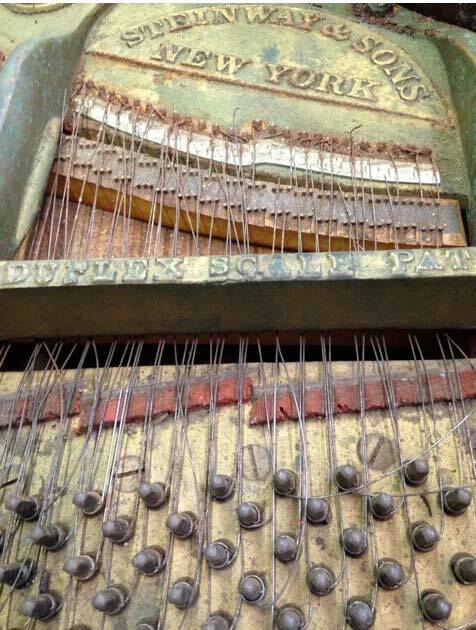 We occasionally restore an old upright when it has a strong family history. 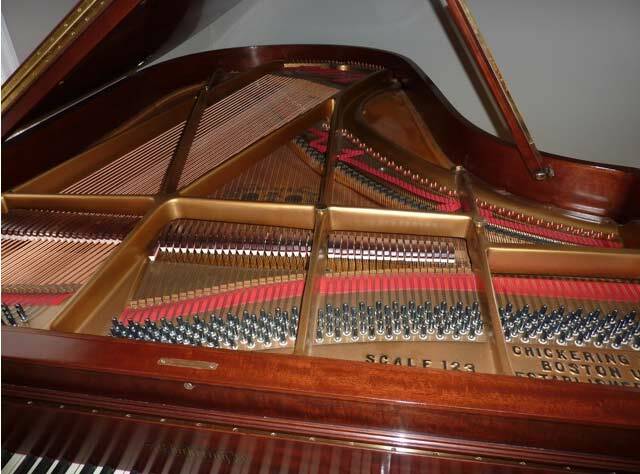 Grand pianos usually have a higher replacement value. 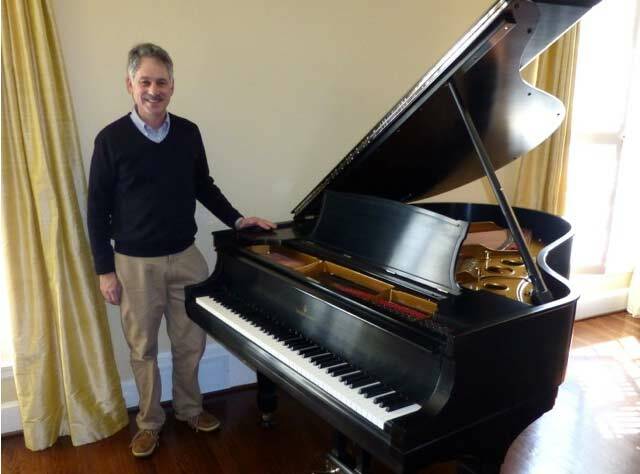 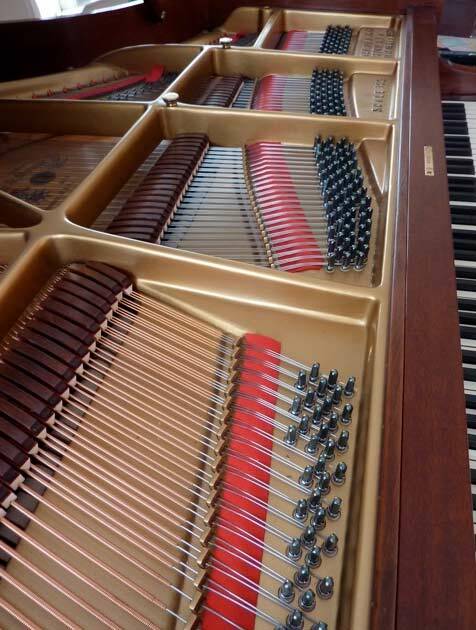 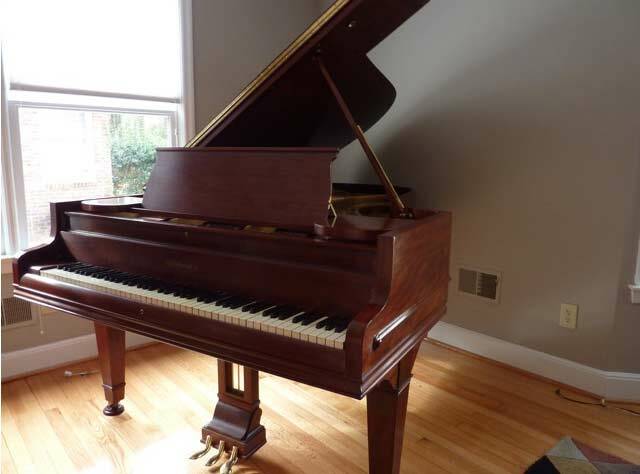 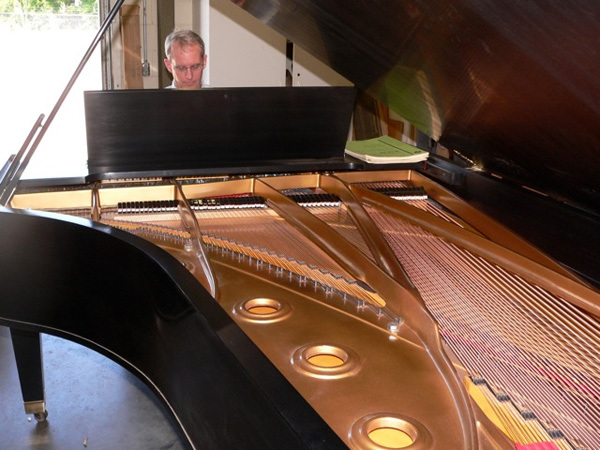 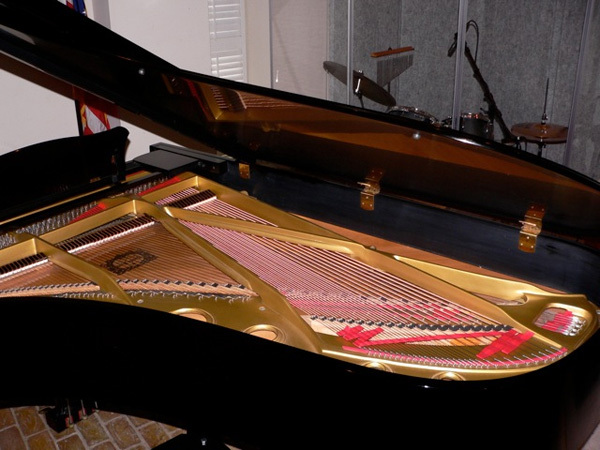 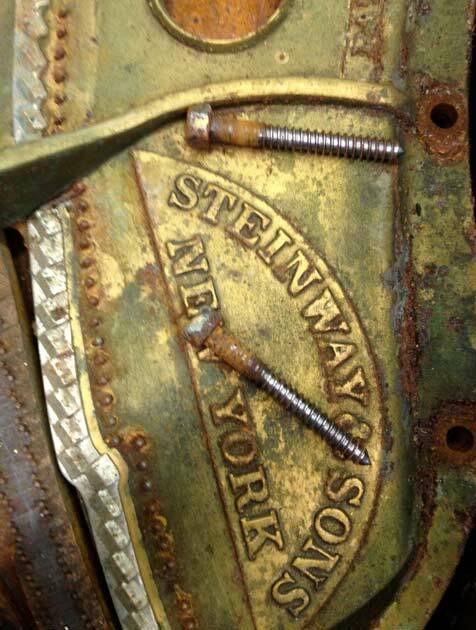 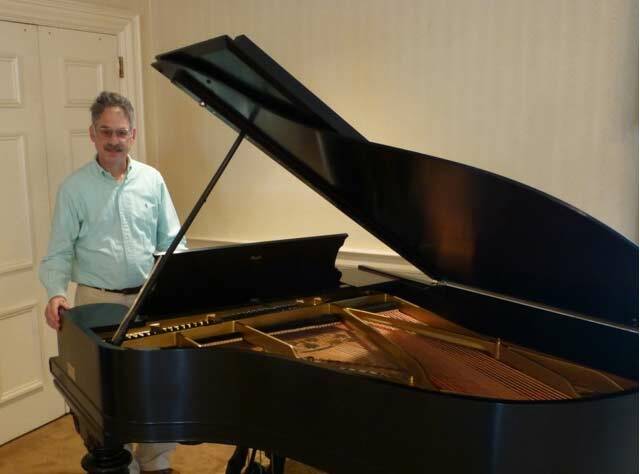 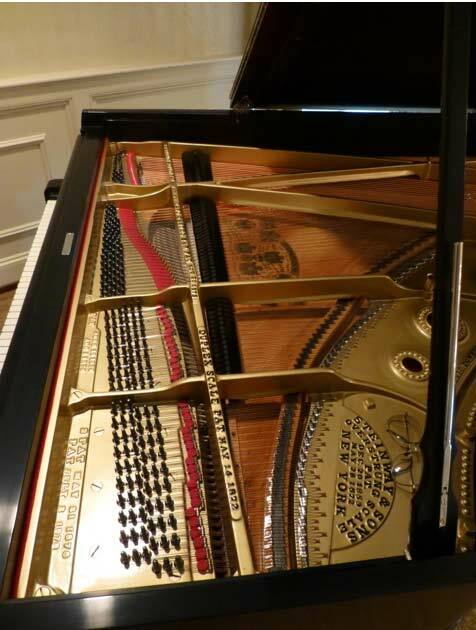 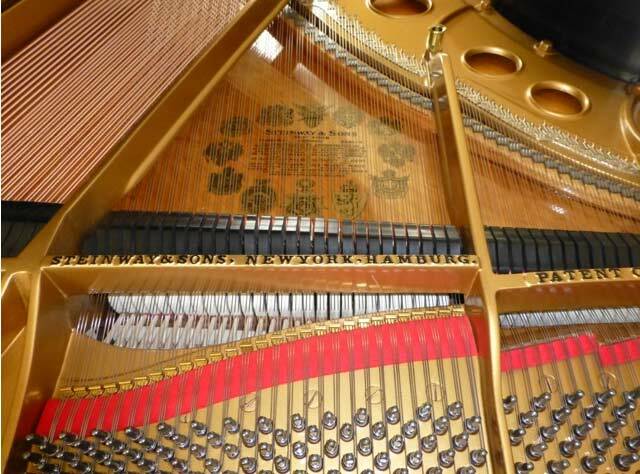 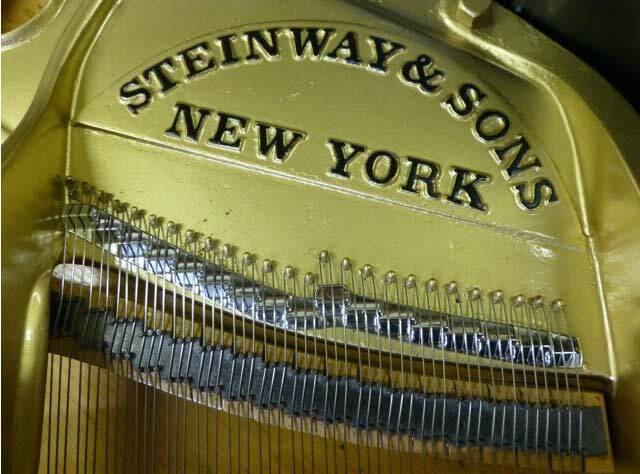 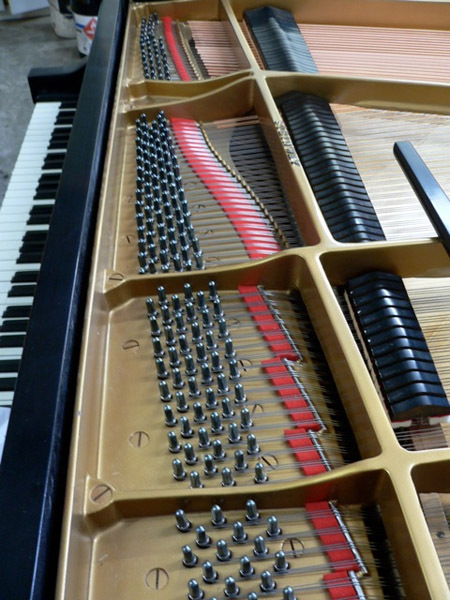 In the case of a Steinway, Baldwin, Mason & Hamlin, or Chickering there can be a large savings in rebuilding. 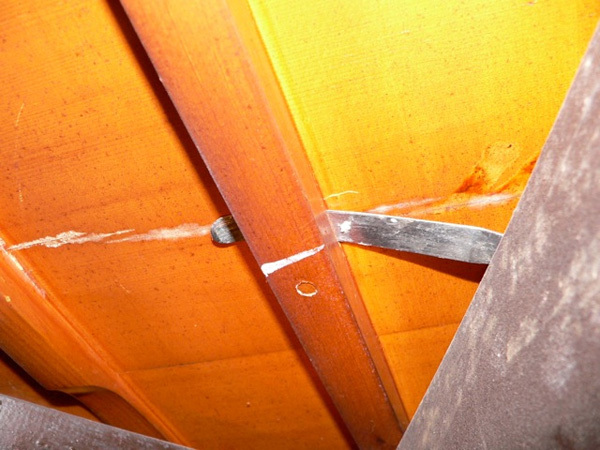 During a rebuilding project many measurements are taken, determinations made, options discussed with the owner. 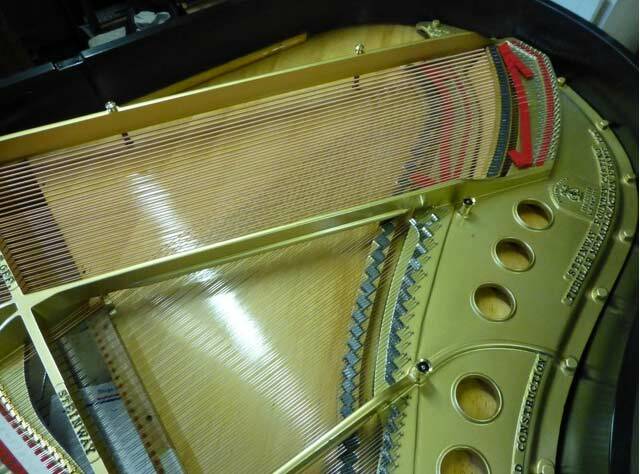 Then the strings and plate are removed. 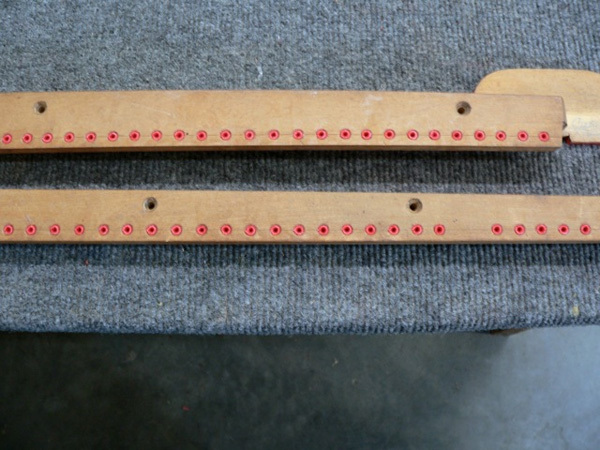 Repairs to the soundboard and bridges are done. 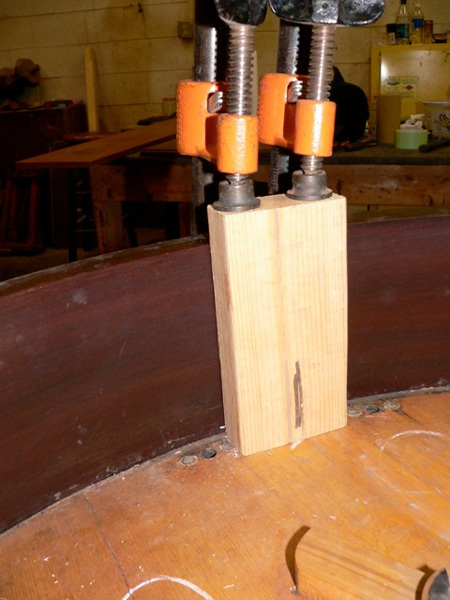 A new pin block is made and installed. 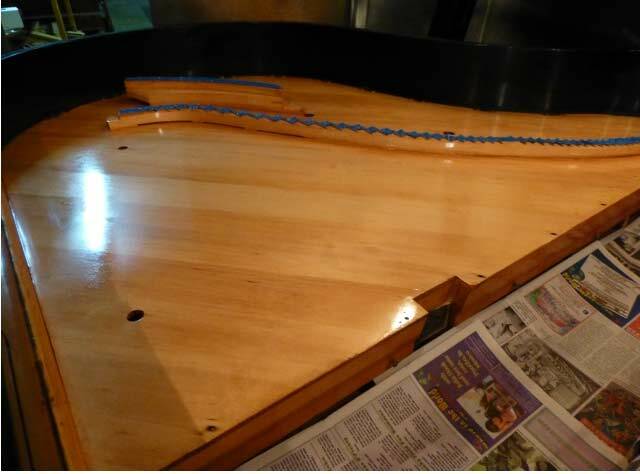 At this time the plate and soundboard are refinished. 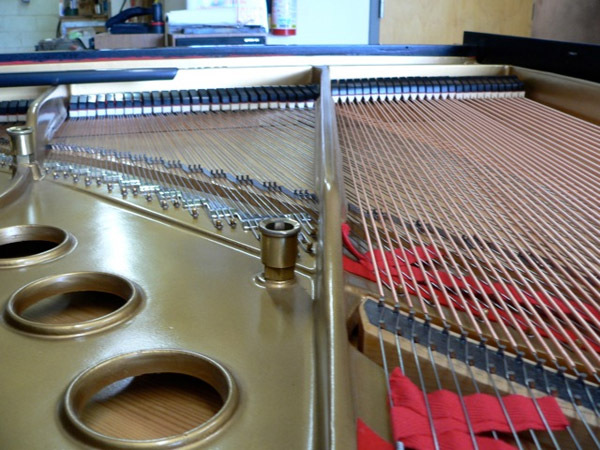 New strings are installed. 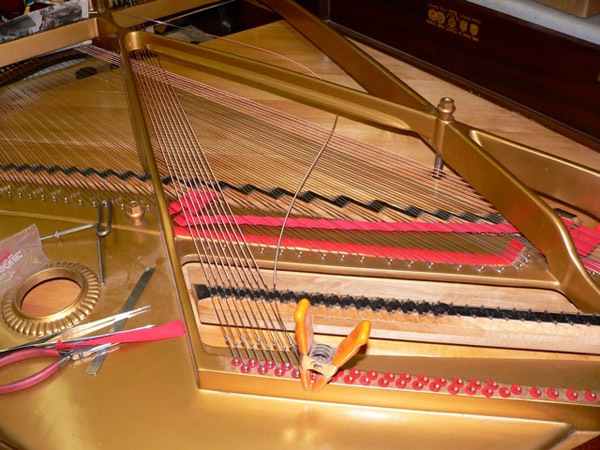 Bass strings are custom made. 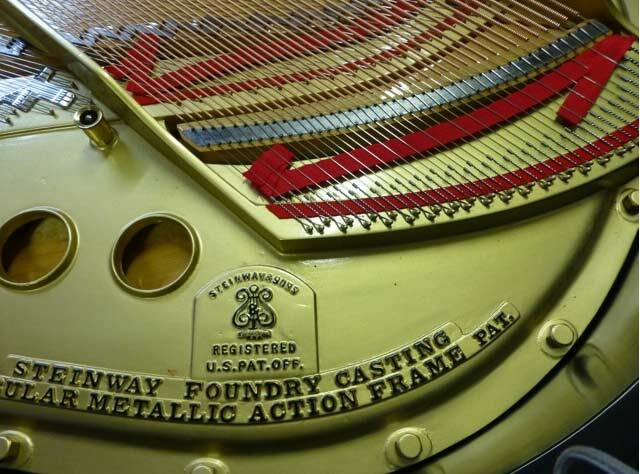 Actions are rebuilt and regulated. 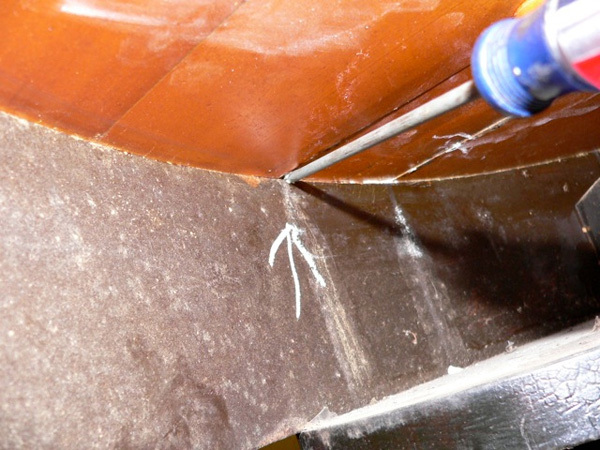 Damper system restored and regulated. 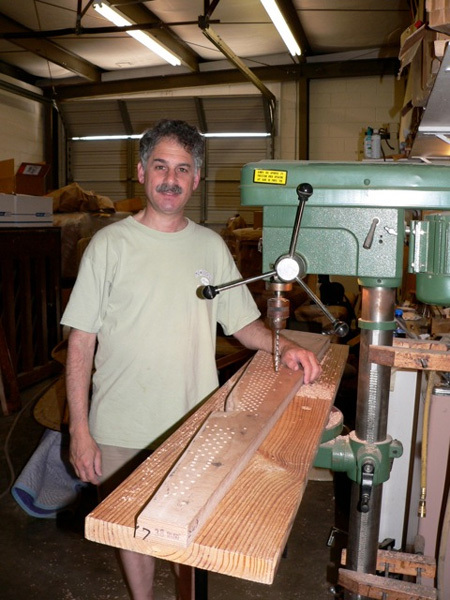 Hammers are voiced in the shop. 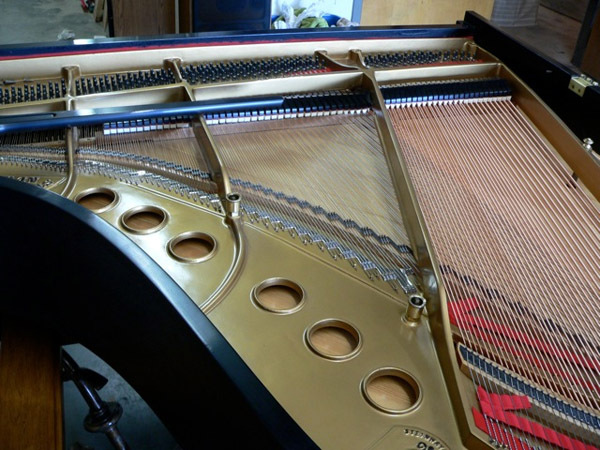 Additional tuning and voicing will be done when the piano settles after delivery. 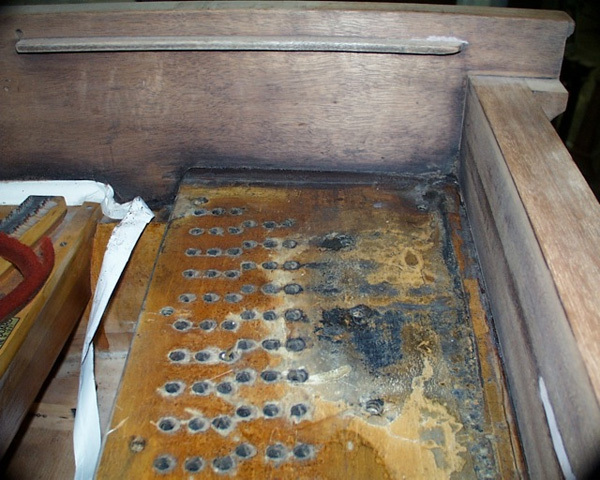 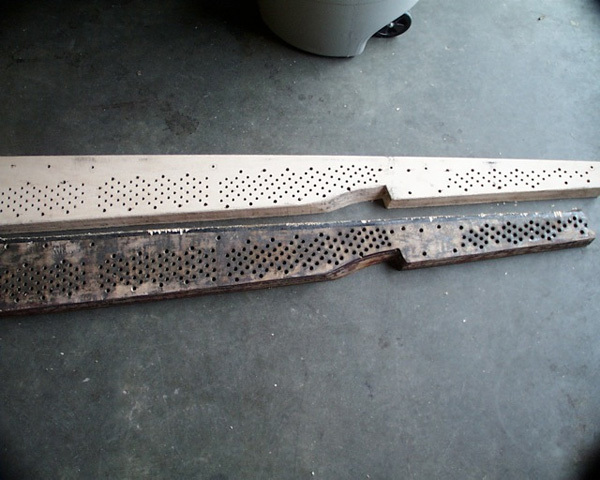 The case usually undergoes restoration and refinishing during this process. 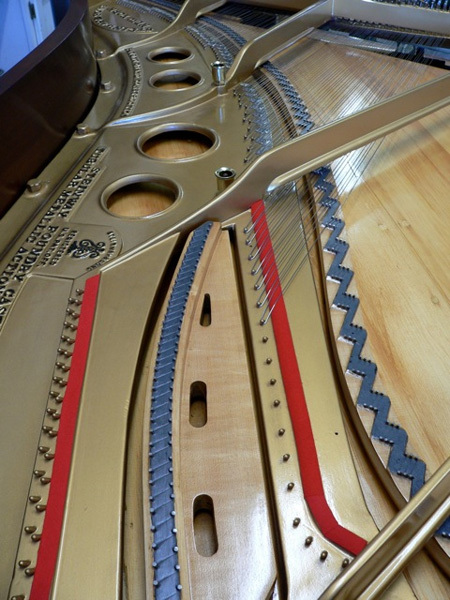 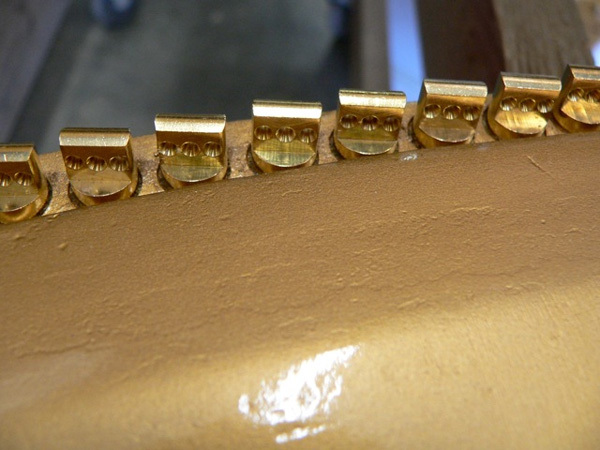 A beautiful finish adds to the piano’s value.